Dane Stinit arrived on the scene ten years too late. 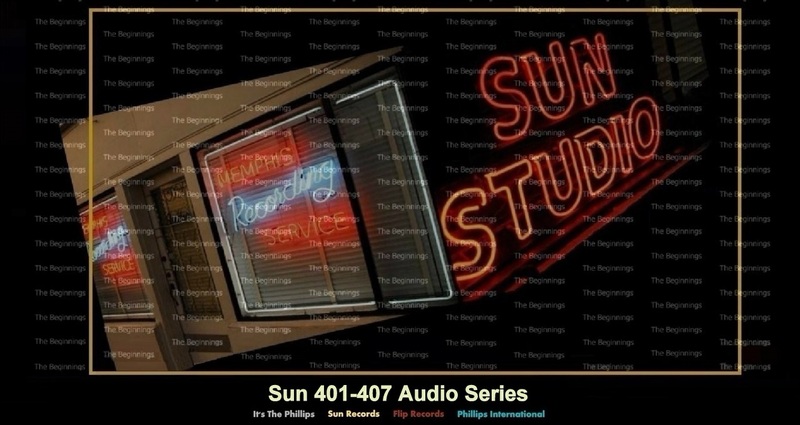 He might have been dismissed with a bemused stare had Sam Phillips not walked in the studio when Stinit was cutting a custom session for Ivory Joe Hunter's manager, Bettye Berger. Something about Stinit stirred some nostalgia in Phillips. At least it must have been nostalgia, because it's a cinch that Phillips didn't think he could put Sun back on the map in May 1966 making records that sounded like this. These two sides of Davis Houston recorded in Nashville by Bob Montgomery and leased to Phillips International in 1962, were re-released on Sun Records four years later on, October 1966. Under his agreement with Philips Electric from Holland, Sam Phillips could no longer use Phillips International imprint, so, when Davis Houston finally broke through with ''Almost Persuaded'', these early entries were reissued on Sun. Neither was a match for Houston's best work. In fact, they were something of a corporate kiss of death. Miss Brown'' is an energetic, if undistinguished shuffle blues that Houston handles competently. It was written by Fred Carter, onetime guitarist for Ronnie Hawkins and the father of current country star, Deana Carter. The other side, Montgomery's ''Sherry's Lips'', is a strong pop-country ballad with an indisputable message: ''the same lips that kiss you can tell you to go to hell''. Only the somewhat overwrought performance in the song's release weakens the impact of this track. ''No You For Me'' is an engaging and melodic blend of rhythm and blues, doo wop and even countryish feeling. The pleasant hybrid was surrounded by soulish riffing horns and might have garnered some pop or rhythm and blues attention. Probably Willie Bollinger attend this session. This record by the Climates is one of the high points in Sun\s latter day release schedule. In fact, there wasn't much schedule left by this point. In February 1967, this release, along with Sun 405 and 406 were mailed out to disc jockeys. Three records and virtually no promotion. This one, soul, 405 a dated Johnny Cash clone; and 406, a surprising slice of black gospel. Had the Sun label become directionless? Lead singer Davis Mayo was born in Memphis, and in 1965 he was leading a band called the Coachmen in Little Rock, Arkansas. He made his first recordings at Roland Janes' Sonic Studios on Madison Avenue. ''I met all the other guys in different bands'', says Mayo. ''Ken Woodley played keyboards, Ray Sanders was in a band called the Jokers, Mike Houseal played guitar, but the star was Larry Wall who played bass 'cause he'd come over from the Gentrys. I knew the Coachmen were going to stay in Little Rock so I talked to all these guys and we rehearsed at Ken Woodley's house, and it clicked. I knew Knox and he signed us to Sun''. The record hadn't been out long when Sam Phillips folded Sun to become president of Holiday Inn Records. He transferred the Load Of Mischief master to Holiday Inn, remixing it for its re-release, adding Charlie Chalmers' horn section. ''We weren't happy about that'', notes Mayo. ''I remember arguing with Sam about it. I told him that Columbia Records wasn't in the hotel business, so what was Holiday Inn doing in the record business? I took the unissued Sun masters over to Estelle Axton at Stax, and she signed us to their Hip label. We recorded as ''Paris Pilot'' for Hip. Don Nix was our producer''.